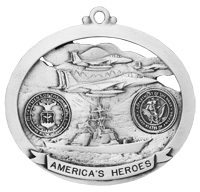 Our military ornament celebrates the four major branches of the military. 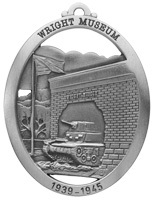 Finely detailed, includes the official seal of each of the military branches. 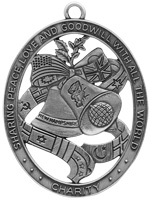 Or choose our 911 remembrance ornament to remember a hero from that day. 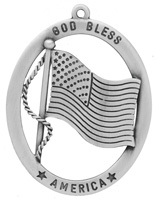 Or choose our God Bless America ornament for general American Pride. 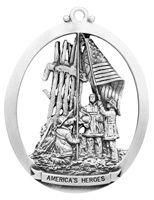 Add someone's name, year of gifting, or your special message to make this gift more personalized.